I'd looked on Rockauto and you can get these boosters really cheap at just over $100 but I'd read that they may not come with the master cylinder push rod which are not readily available so I decided to stick with a complete second hand booster. 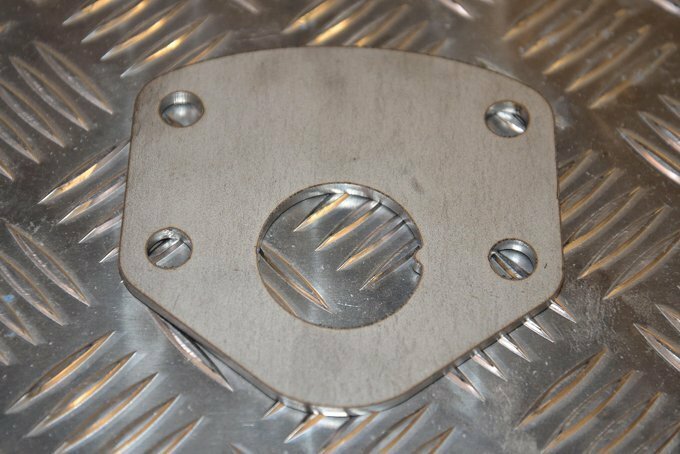 These are the ones to look out for: Vehicle: Chevy Astro 1990 – 1993 Description: Flat mounting plate with studs that go thru the firewall. 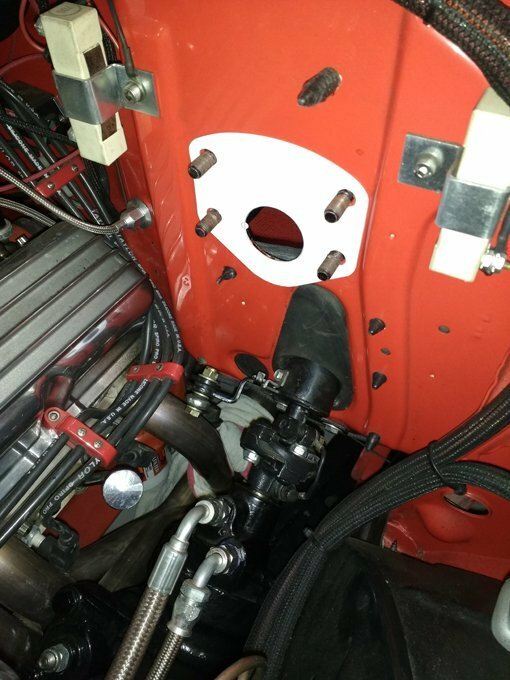 Master cylinder: Mounting hole spacing 3 3/8 Pedal rod length: 6” from mounting face Pedal rod hole size: ½” Port H-boost - box 16mm-1.5 (Areoquip adapter FBM2608) Port H-boost - pump 18mm-1.5 (Areoquip adapter FBM2609) Vehicle: Chevy Astro 1994 – 1995 Description: Flat mounting plate with studs that go thru the firewall. Master cylinder: Mounting hole spacing 3 3/8 Pedal rod length: 6” from mounting face Pedal rod hole size: 5/8” Port H-boost - box 16mm-1.5 (Areoquip adapter FBM2608) Port H-boost - pump 18mm-1.5 (Areoquip adapter FBM2609) My ebay booster came off a low mileage 94 Astro in the UK and was bought for £45, I'd seen others advertised in the UK but they wanted £100 - £150! 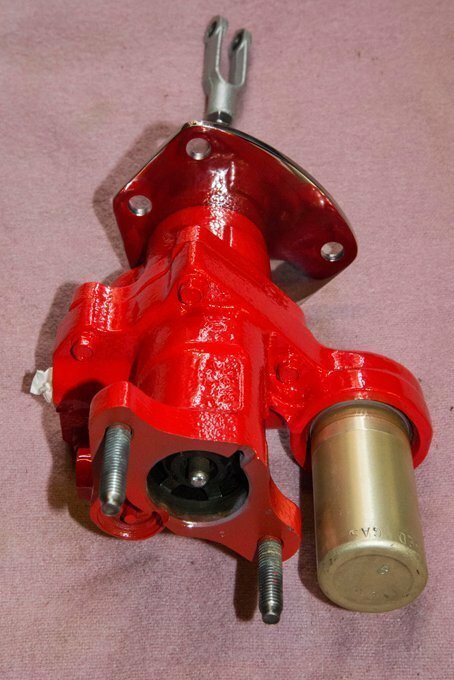 First job was to media blast and cut the old pedal rod, cut a new thread and fit the clevis bracket, the old 57 bracket was just the right size. 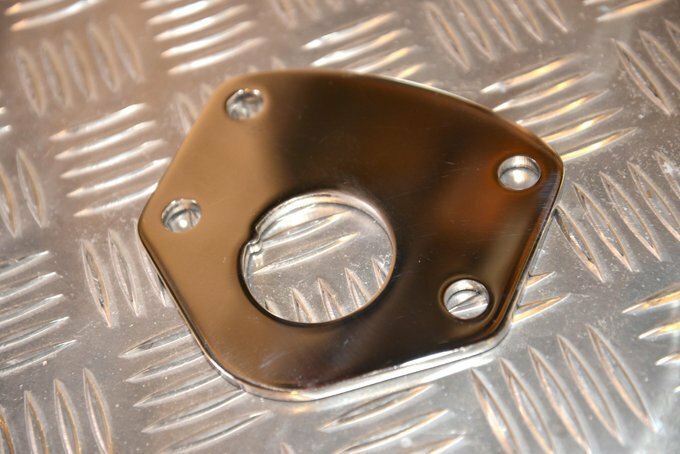 I could have used the original Astro mounting plate by welding up and moving the mounting holes but I'd seen some neater solutions online so I copied the shape and worked out my own mounting plate. 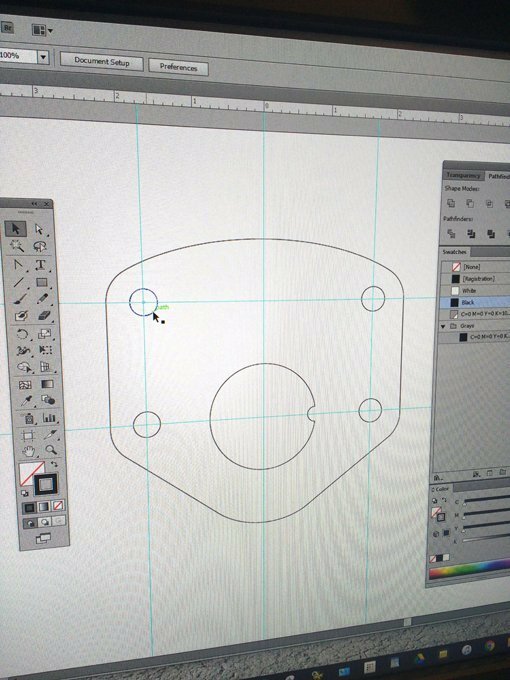 My first paper template was a touch wide, a bit of adjustment to the drawing in Adobe Illustrator and the design file was ready to be sent off to be laser cut. I can supply these to order in mild steel or stainless. I swung the unit upside down so that the reservoir was out of the way of the way of the rocker covers on the opposite side. A dimple on the mounting plate holds the booster in the correct position. I also had to grind a little off the bulkhead hole to clear the big mounting plate to booster nut. I went for 6mm stainless which took about an hour and a half to shine up, hopefully that'll be the last piece of stainless I have to polish on this car. A lick of paint and it's ready to go. 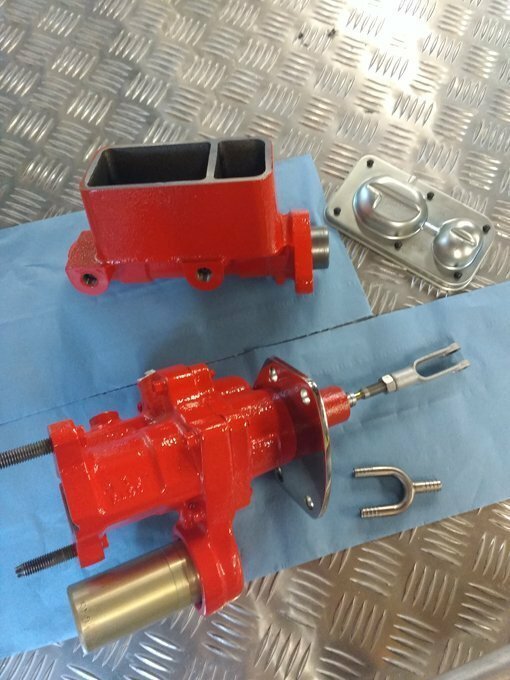 These boosters can differ, some have a long master cylinder push rod for deep bore master cylinders and some have a short push rod. 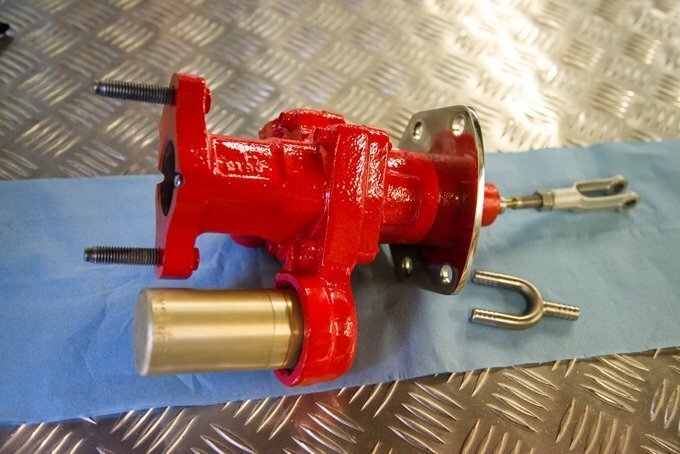 This one's a short push rod, another thing to check before buying the right master cylinder. 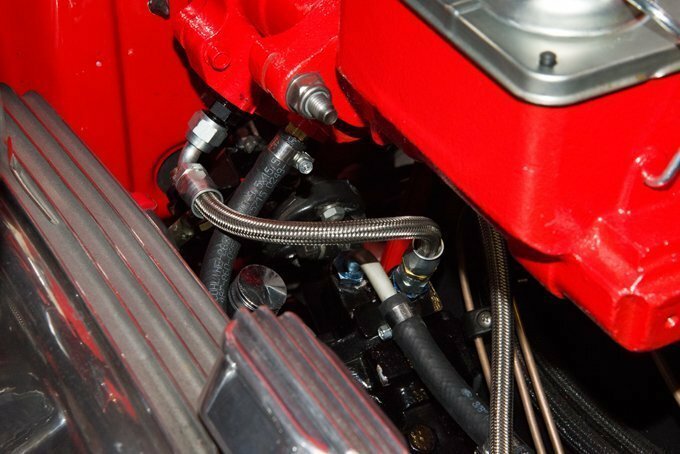 I was trying to be clever by having a stainless "U" shaped junction on the return line hose, it turned out that due to the "U" shape the steering box return hose put back pressure on the hydroboost return line but more on that in a minute. 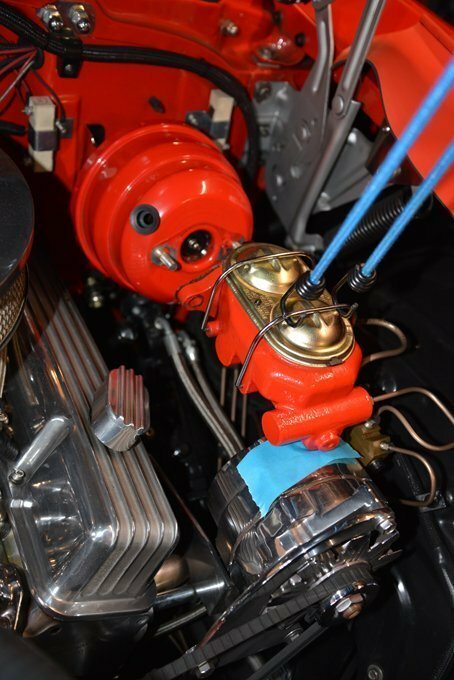 After doing a whole bunch of research it would seem that with my disc/drum combination a 1.25" master cylinder with the push rod on the original 57 pedal hole is the way to go. 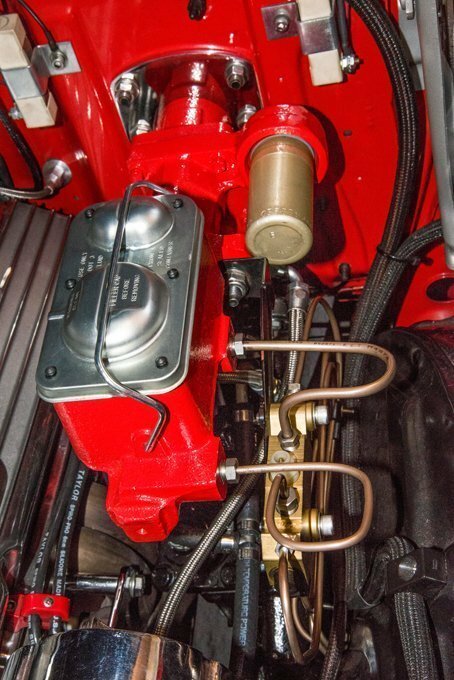 The best reference I found for your master cylinder options is here. I went for the 70's Camaro option which turned out to be spot on. I found this to be ridiculously cheap at £20 on ebay and came from here, only $16 to ship which took a week and no import charges! 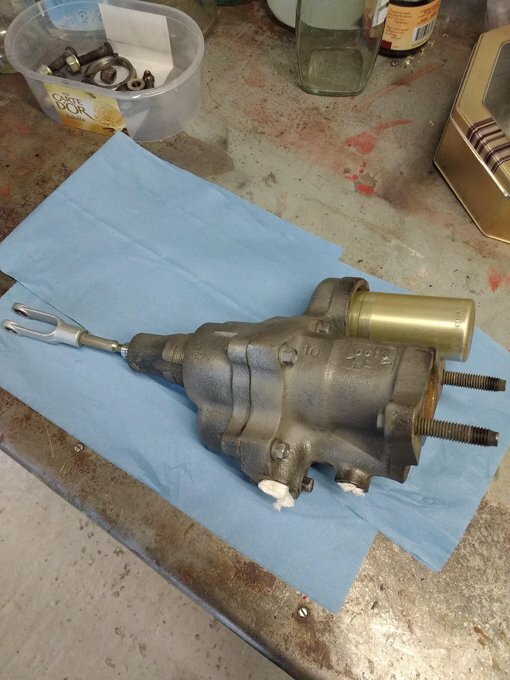 My booster came with the original master cylinder and I noticed that the booster push rod had a couple of mm pre-load on the master cylinder. My new M/C had a touch more than this so I trimmed the push rod to match. 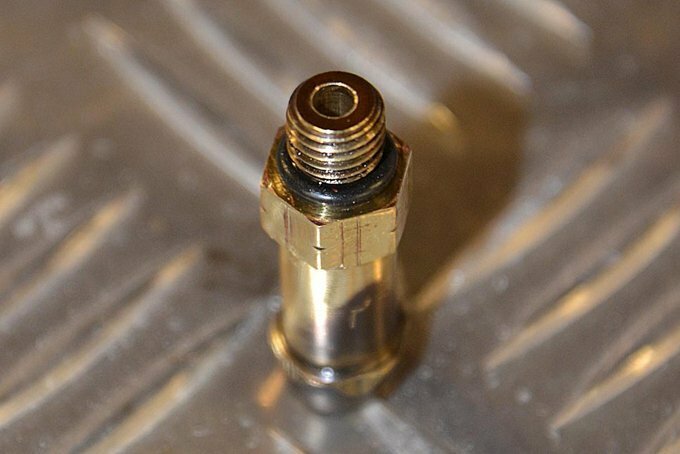 The inlet and outlet port AN6 adaptors are available here, top service from those people. My AN6 pressure hoses were made by Think automotive, always top service and highly recommended. 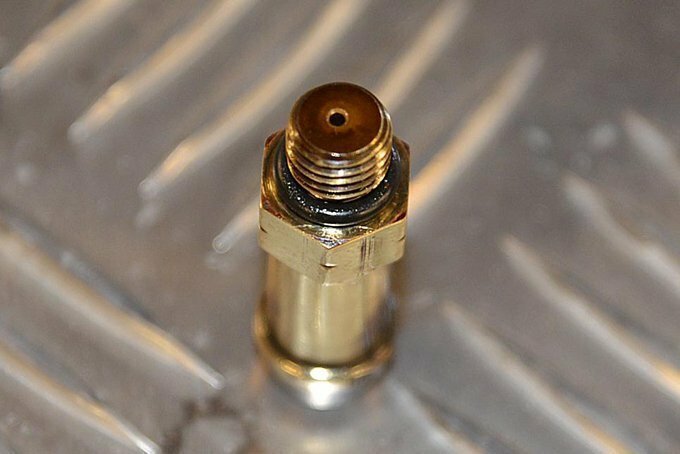 The outlet port has an odd 5/16" barb fitting, AN6 versions of this are available here. They also have an ebay shop. With everything hooked up it was time to fire her up and bleed the system, instructions are here. Another buttock clenching moment gingerly edging out of the garage into a busy road with new brakes but all seemed OK but the slightest touch on the brakes nearly sent me through the windscreen. Even worse was the fact that the pedal was slow to return and the brakes dragged for a couple of seconds after releasing the pedal. With a bit more research I found that this is a common problem on hydroboost conversions and is usually due to a return line flow restriction. 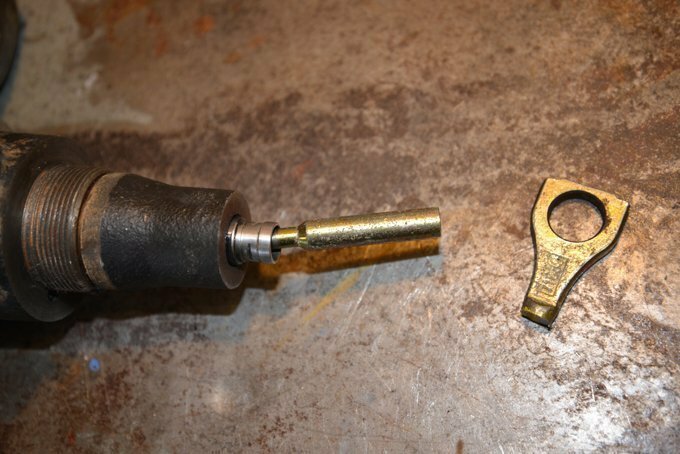 The original return hose barb fitting had a tiny pin hole so I drilled this out to improve the flow. 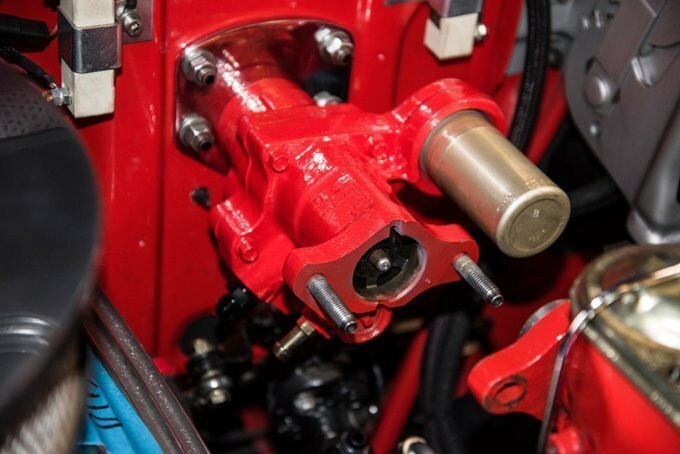 I also put a "T" junction into the steering box return line rather than my "U" shaped fitting. This solved the pedal return problem. 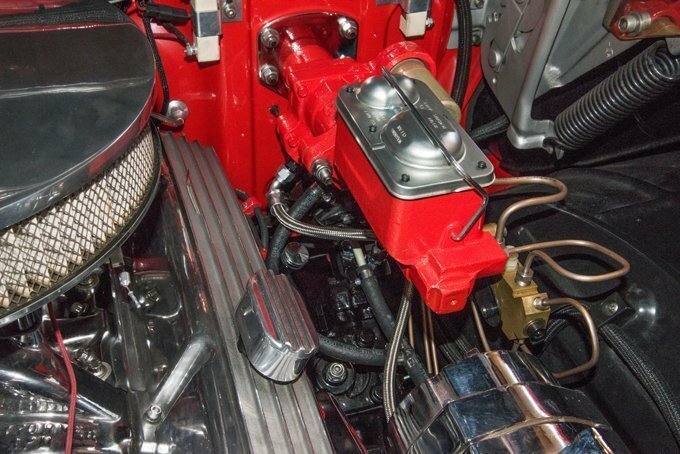 I also read that the ideal is to have a separate return line from the hydroboost and the power steering box into a dual return power steering reservoir but that would have meant buying more parts. I'd read that with hydroboost the brakes can feel really odd until all the air has worked out of the system which they did. Now I've been out for 50 odd miles the grabbiness has gone and I can't believe how good the brakes are. 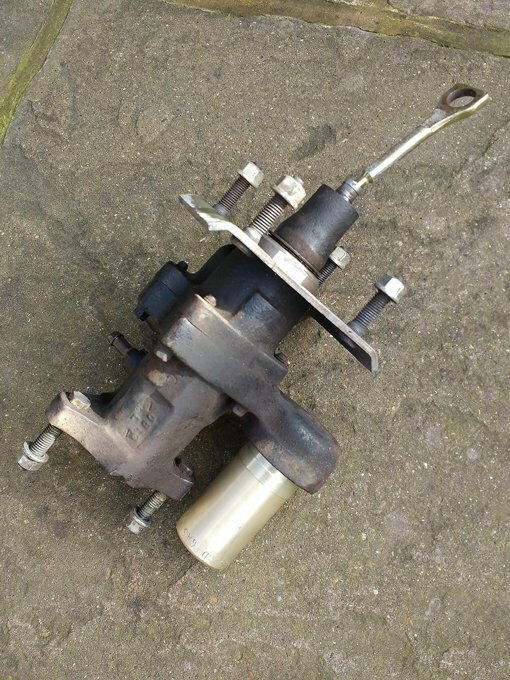 Along with power steering this counts as the biggest improvement I've made to the car, total cost for the change was about £140.